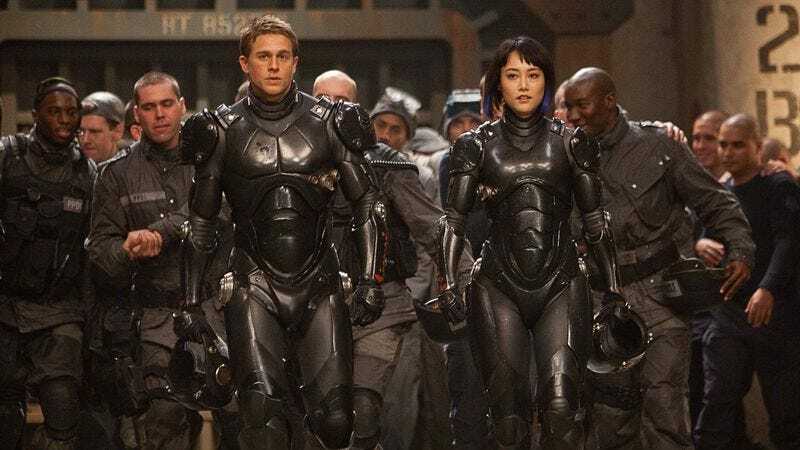 Recent turmoil at Legendary Pictures—the production company behind Pacific Rim—has led to a situation in which Guillermo del Toro’s planned sequel to his movie, about how giant monsters fighting robots can be slightly underwhelming, is being delayed indefinitely. It was disappointing news for fans of the kaiju-smashing film, but you know who’s not sweating it? Guillermo del Toro. Entertainment Weekly reports the ever-optimistic director is refuting the idea that his blockbuster excuse for playing with toys isn’t happening. “We are still turning in a screenplay and a budget in three weeks,” Del Toro said, probably while swinging action figures around in an arc and making the “Pew! Pew!” laser-gun sound. “As far as I’m concerned, it’s not gone. We’re still on it.” He admits there may be a delay, but if so, it’ll merely be a short-lived one. “It moved further. I may do another movie in the middle.” This is nothing new for the director, who has cultivated a never-say-die attitude toward basically every passion project he’s ever had, at least when it comes to enormous $100-million-plus popcorn movies. I can tell you this, if I was a billionaire, I would definitely do Hellboy 3, Pacific Rim 2, and At the Mountains of Madness. And I would quickly become a millionaire. The sequel was originally scheduled to be released in 3D in August 2017, but presumably even del Toro is acknowledging that window has probably disappeared, much like a portal to another dimension on the ocean floor. Still, he plans to begin work on it some time after his next project, which he describes as a “really, really bizarre” indie film, possibly that collaboration with Hideo Kojima he teased after Silent Hills fell apart. Or maybe it’ll just be del Toro in his backyard, playing a game of Calvinball, since that seems like something the director would have no problem doing for the rest of his life.